When families learn that their child has HLHS, a variety of tasks are set in motion. Echocardiograms are scheduled; surgeries are discussed and planned. Parents research outcomes and what to expect for the future, and meet the lineup of staff who will help them along the way. A diagnosis of HLHS affects the entire family unit, and often overlooked are the siblings of these newly diagnosed patients. What is the best way to describe HLHS and upcoming surgeries to these healthy siblings? How can we help them cope with the hospitalizations and surgeries that are coming? How can parents manage the unique needs of their child with HLHS, while still attending to their other children? As a Certified Child Life Specialist in a cardiac center, I meet with families prenatally or shortly after birth to address these questions and many others. Parents often wonder how much information they should give to their other children, how to answer questions, and what to expect along the way. By addressing their needs prior to, during, and after hospitalizations, we can assure siblings of HLHS patients can not only cope with this diagnosis, but thrive in spite of it. Since an HLHS diagnosis can be shocking for a family, many parents feel like they should hide this from other children, or simply avoid telling them because they do not know what to say. Children tend to know when adults are hiding something from them though, and an absence of information can leave them feeling deceived or confused. They will likely notice subtle differences in routine or parents’ behavior, and eventually have more obvious questions like why their new brother or sister has yet to come home from the hospital. While it is not necessary to give all of the information possible, and it is certainly acceptable to convey uncertainty, it is essential that parents do not pretend as if nothing is wrong. A child who feels lied to may have trouble trusting his or her parent in the future. When speaking to children about their brother or sister’s diagnosis, it is best to use simple, honest, and concrete language to avoid misconceptions. Many attempts to “sugar coat” the conversation can actually lead to confusion and fear in the children hearing this. For example, avoid using words like “sick” as this may lead to additional fears when someone contracts a cold or virus, and this word tends to imply the patient is contagious. I explain that while growing in mommy’s tummy, little brother or sister’s heart did not grow the way yours and mine did and is not working the same. I explain that the heart is a very important part of the body, and he/she will need doctors to fix it before coming home and keep fixing it as he/she grows up. Older kids may worry and should be assured that their brother or sister will not be scared or in pain thanks to very special medicines. One of the biggest concerns parents have is the potential separation from the non-hospitalized child. Often this child is, by necessity, left at home and cared for by other family members. It can be difficult for them to be away from parents and in unfamiliar settings. Parents can help by reassuring them that they are loved, they are safe, and they have done nothing wrong. Young children think very egocentrically and for this reason, they tend to think their thoughts or actions have an effect on how the world functions. Siblings may feel like they caused their brother or sister’s heart condition or that their parents are sad or scared because of something they did. In my interactions with siblings of new babies with HLHS and other congenital heart defects, I have heard a variety of misconceptions. One little girl thought her brother had a heart defect because she hugged her mom too tight while pregnant. Another boy thought it was because he had a cold and was around his pregnant mom. When we inform kids of what is going on we are also informing them of what is not, and that they, and no one, is to blame for this diagnosis. Another way to help the non-hospitalized child is by helping them feel connected to their sibling and parents while they are away. For various reasons, visiting might be unfeasible or limited, so using technology and different activities can help bridge the distance. Routine phone calls or video chats such as before school or at bedtime may provide relief during what are typically difficult transitions. Social stories and homemade picture books use pictures to illustrate information such as a sequence of events, what is going to happen, and why. These can help younger children or those with special needs know where parents are, and more importantly, that they will come back. Siblings, especially those who are older, love taking on a caring role, so involving them in care and offering opportunities for control may help them cope. If the hospitalization is planned, brothers or sisters can help pack, can select favorite blankets or toys, or even decorations for the room so a little piece of them is in the hospital with the family. Likewise, having a keepsake from a parent or the hospitalized child can help provide comfort and help siblings cope with separation. When siblings are able to visit, I offer opportunities to make family portraits with hand/footprints, take family pictures, or provide scrapbooking items so siblings have something to take home. This is also as a way to document this special time. The topic parent ask me about most often are siblings visiting an intensive care unit or hospital in general. Parents do not want to scare or upset children by exposing them to breathing tubes, central lines, ventilators, etc. My advice is to follow the lead of your child when considering a visit. Do you have a fearful, anxious child? Do new situations or surroundings tend to frighten or overwhelm him/her? Or, is this child a little calmer and logical, adapting well to change? Is he or she persistent in asking to visit? Ask yourself, are the fears of bringing in the other child more related to your own fears, or what this child has expressed? Most children’s hospitals have personnel and resources to help prepare siblings for hospital visits, as well as educate, support, and occupy them once they are there. The medical team can put you in contact with a Child Life Specialist or Social Worker who is trained specifically to help your other children understand, know what to expect, and feel comfortable in this far-from-normal environment. As you know, children have very creative imaginations and for this reason, the fear of the unknown is likely more intense than a specific machine or tube. In my experience, most siblings are picturing circumstances far worse than reality, and when properly prepared for even a brief visit, we can put their minds at ease. This is certainly not the case across the board, and you know best if a visit is too much for your child. However, know that there are many resources to help facilitate this, and often it can bring many benefits to the non-hospitalized child. Both in the hospital and back at home, it can be difficult to divide your time and energy among your children, especially when your child with HLHS requires so much attention. It is common for healthy siblings to exhibit attention seeking behaviors as they navigate these waters. Regression, jealousy, sleep troubles, and difficulty with separation are normal reactions and should subside with time on their own. If over time, this escalates to serious behaviors such as violence, excessive anger, or depression, a visit to a mental health care professional can offer more focused treatment. Formal and informal support groups for siblings and families can be helpful for some children, as they offer a space to safely share feelings and connect them with peers in similar circumstances. When possible, provide dedicated one-on-one time to the healthy sibling. This may not be easy for many families depending on circumstances, but even brief check ins where this child is the focus will have great benefits. This can be as simple as a special dinner or a walk in the park. The goal of these is not to distract your other children or cheer them up, but rather to make them feel special and allow them to express feelings, worries, and have their concerns validated if need be. 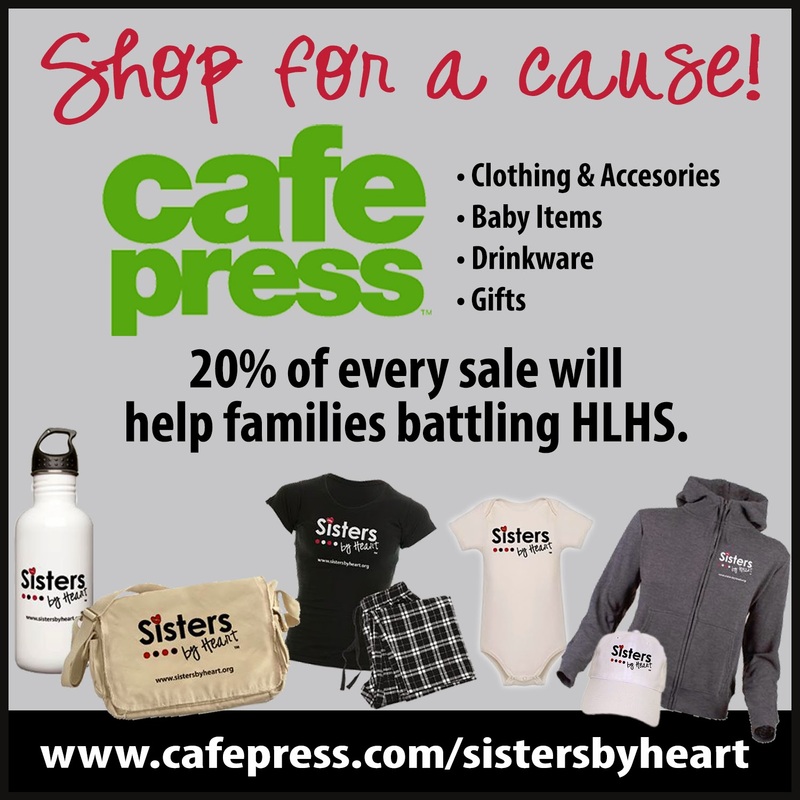 HLHS affects the entire family; this is unavoidable. However, with age appropriate explanations, inclusive activities, and special attention, siblings can grow into resilient and well-adjusted individuals. In fact, children whose siblings have a chronic condition such as HLHS have the opportunity to show more independence and maturity, and even become more compassionate and accepting teenagers and adults. *Parents have granted written permission for use of all photos.